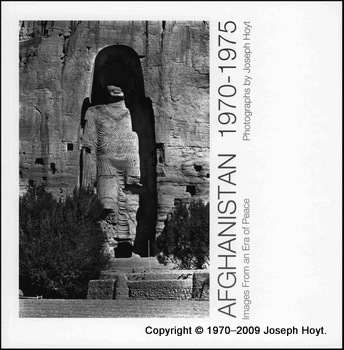 Joseph Hoyt has put together a beautiful book, Images of Afghanistan photography book available to be shipped both within the U.S. and internationally. What is amazing about this book is that the pictures date to the years of 1970-1975 before war had begun in Afghanistan. This is a time few have ever seen, when Afghan women in the city were known to wear short skirts and no head coverings, when hippies were regularly traveling through, and Afghanistan was a much safer country to visit. Joseph's pictures reveal an Afghanistan long lost amid the scourge of the aftermath of 30+ years of war and poverty and constant death. You will feel your heart strings tug at the photos of faces of innocent children and the happiness of the time. You can check it out at his website, Images of Afghanistan photography book Please mention you heard about it from Rachel at www.about-afghanistan.com! 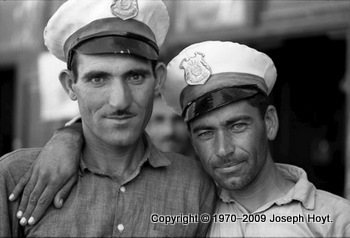 Policemen still look much the same today! The major difference is their job is much more dangerous now as they are often targeted by the Taliban and Al Qaeda through suicide bombers and rocket attacks. I wonder how many of these children are still alive today? One out of every four women are widows, so most of those under 25 today are fatherless. This is a major factor in the social outcome of those beginning to move into jobs and leadership. 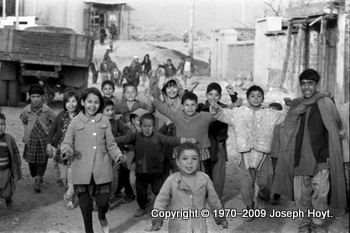 Many more pictures may be previewed at Joe's site, but buy the book to help out those who are partnering with Joe to help rebuild Afghanistan!